The Roller Bearing Magnetic V Block UL-110 Series, offered by us, is used in various industries for its durability and sturdy construction. We make available highly operational Roller Bearing V Blocks. 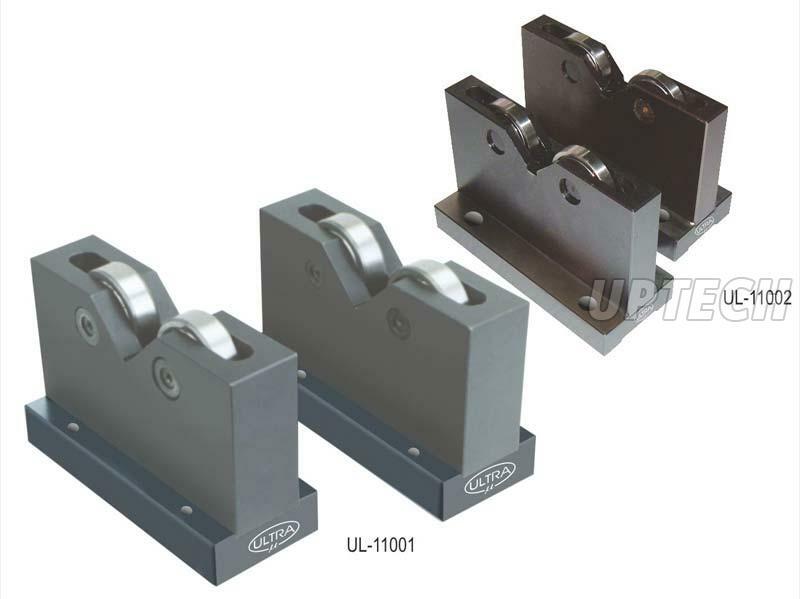 These rollers bearing Roller Bearing Magnetic V Block UL-110 Series having perfect accuracy and are available in perfectly matched pair. We also manufacture special sizes of Roller Bearing Magnetic V Block UL-110 Series which is suitable for different diameter as per the needs of the customers. For the fabrication of these Roller Bearing Magnetic V Block UL-110 Series, standard bearings are used, which are replaceable. Our Roller Bearing V Block is available in different specifications and at reasonable prices. Contact us to obtain Roller Bearing V Block. Included angle of rollers is 90o. Standard bearings are used which are replaceable.